The pump assembly, with swivel connection, easily joins to the end of a manifold unit. 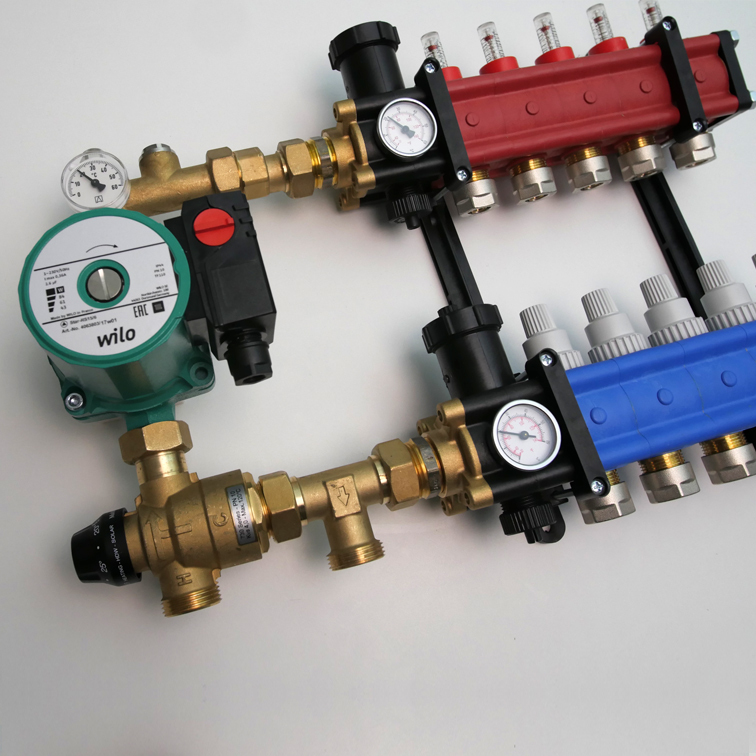 The 3 way mixing assembly is ideal when space is limited and will automatically mix return with the supply water to ensure a set water temperature. The assembly also has a visable thermometer and optional safety thermostat. Pumps are not included in the assemble.